As a registered Wealth Manager, Thomas has the privilege of working with all levels of clients to serve as their single point of contact for all financial matters. Thomas uses a disciplined approach to assist clients through the development, implementation, and maintenance of their personalized investment plan. While following this approach, he has guided clients through the wealth accumulation, wealth preservation, wealth distribution, and wealth transfer phases of their lives. 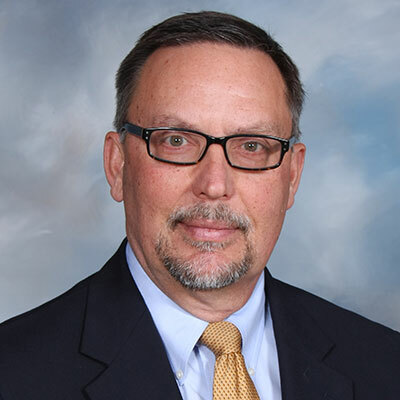 Currently serving as a Business Consultant and Divisional Recruiting Manager, Thomas has experience with asset management, retirement planning, retirement consolidation, insurance planning, college planning, and 401(K) strategies. Thomas has Series 7, Series 63, Series 24 registrations through LPL Financial, Texas Life, Accident, Health, and HMO licenses & is a LPL Investment Advisor Representative - all currently held with LPL Financial. 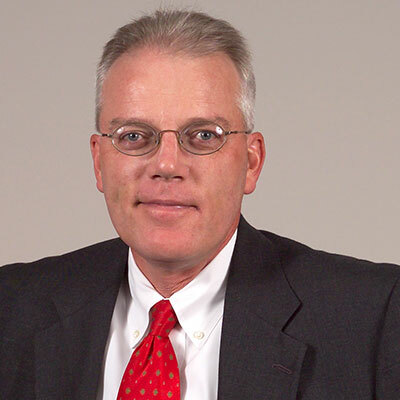 Thomas began his financial services career over 20 years ago at United Services Automobile Association (USAA). During his 12 years at USAA, he specialized in property and casualty insurance and investment strategies. In 2003, Thomas joined Banc One Securities / Chase Investment Services as a Financial Advisor in Scottsdale, AZ and shortly after, moved back to his hometown, San Antonio, Texas. 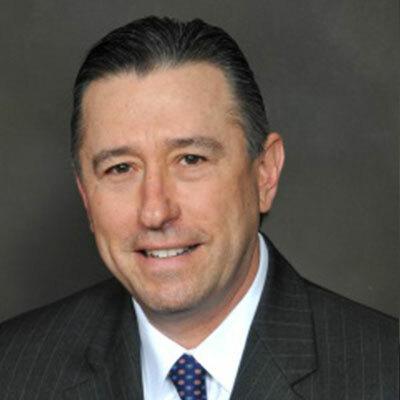 In February of 2006, Thomas became the Investment Sales Manager for the Southwest Texas / Border Market and quickly became a Top Producing Manager in 2006 and 2007. In February of 2010, Thomas left Chase Investment Services Corporation to join SWBC Investment Services, as a Financial Advisor. After 18 months at SWBC Investment Services, Thomas founded Revolution Wealth Management to focus on delivering services and strategies to his clients. Thomas is a native of San Antonio, Texas and after spending a few years in Phoenix, Arizona is very happy to be home. Thomas is a proud graduate of the University of the Incarnate Word with a Bachelors of Business Administration in Management. In his spare time, Thomas is very involved in the community through church and youth sports at Our Lady of Guadalupe in Helotes. Most importantly, he values quality time with his wife, Jessica and two daughters, Lexi and Lola. 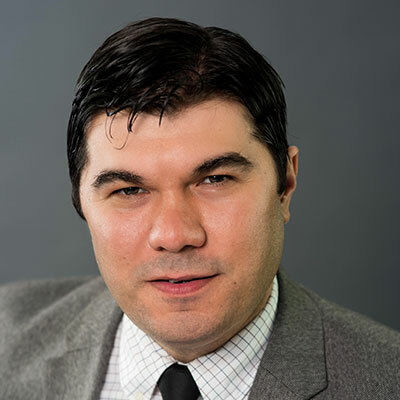 As a Financial Consultant with IBC Investment Services, Carlos R. Benavides helps high-net worth clients and small business owners in the San Antonio area. 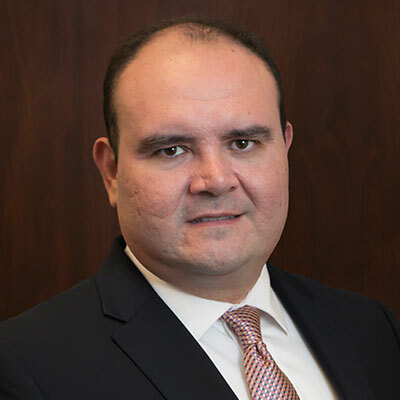 Carlos obtained his Bachelor's Degree in Financial Management from ITESM in Monterrey, Mexico and his MBA from the University of Texas at San Antonio, and holds Securities registrations with LPL Financial, Series 7 and 66 along with his Life and Health Insurance License. He was working for Merrill Lynch and Chase Investments Services prior to joining IBCIS, and as a banking officer in Texas. 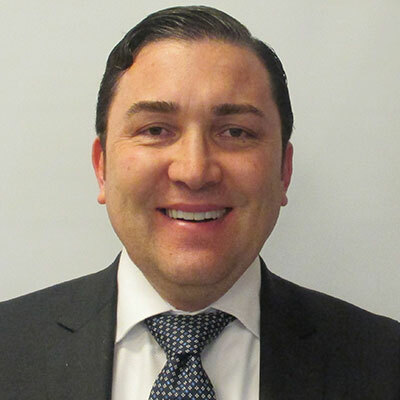 Working as a financial consultant in Mexico and the U.S., gives Carlos the opportunity to help clients from both countries achieve their financial objectives with personalized service. As an Insurance Consultant with IBC Investment Services for the McAllen and surrounding areas, Carmen Garza makes customer satisfaction her #1 priority. She recognizes the importance of exceeding customer expectations and financial goals on an ongoing basis. Carmen is committed to doing her best to make sure these expectations are met. Carmen has over eight years of experience in the financial services industry. Prior to joining IBC Investment Services, Carmen worked as a personal banker with IBC Bank. 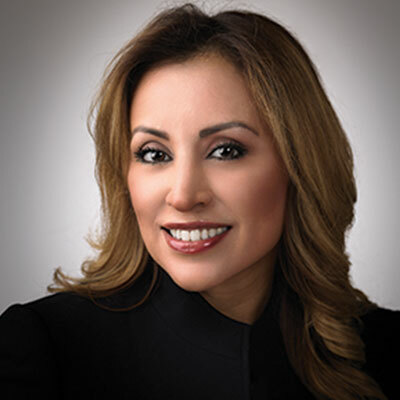 Carmen earned her Business Administration degree from UANL in Monterrey, Mexico, Her Life and Health Insurance License in Texas, and is Series 6 and 63 FINRA registered with LPL Financial. Fernando R. Montemayor Jr., is a senior financial consultant with IBC Investment Services. He works closely with both individual and business owners to help them develop investment portfolios that fit their personal needs. He is passionate about his work and takes pride in helping his clients pursue their financial goals. Fernando earned two bachelor's degrees in business from Georgetown University in Washington D.C. and an MBA from Texas A&M International University. In addition, he has earned his Series 7, 63 and 65 registrations held with LPL Financial along with his insurance license. *Chairman's Club is based on ranking of all registered advisors supported by LPL Financial and is awarded to less than six percent of the firm's approximately 13,100 advisors nationwide. Glenn has a passion for helping clients in the Corpus Christi are and has been doing so for 33 years, whether it is building a sustainable lifestyle for retirees or helping clients with their everyday financial needs. He first built a following as a commercial banker at Bank of America and later as an investment advisor at Morgan Stanley. He has served clients at IBC Investment Services build portfolios by matching their financial goals and aspirations. Glenn Escovedo holds a BBA from Corpus Christi State University. As a life-time resident of the Corpus Christi area; he has served the community, most notably with Leadership Corpus Christi, as a graduate and steering committee member. Ismael E. Reyes-Retana, a Senior Financial Consultant with IBC Investment Services, takes a personal approach to understanding client needs, and takes time to thoughtfully develop sound long-term strategies to help her clients pursue their financial goals and dreams. He works closely with individuals and small business owners in Texas and Mexico, offering them comprehensive financial planning and investment services. 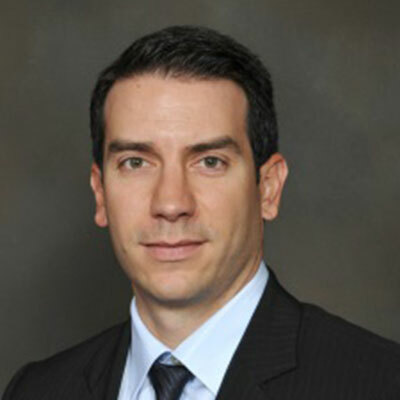 With more than 17 years of experience in the financial services industry, Ismael has guided clients through numerous market cycles. Last year he celebrated his 13 year anniversary with IBC Investment Services, and for 12 out of the last 13 years, he has been recognized as one the top-producing financial consultants at IBC Investment Services. Previous to joining IBC Investment Services, he spent time at UBS Paine Webber and US Global Investors in San Antonio, Texas. Ismael earned an MBA in Business Administration from St. Mary's University in 2001, and a BBA in Corporate Financial Management and Entrepreneurial Studies in 1998. He has earned series 6, 7, 24 and 66 registrations held with LPL Financial. He and his son, Santiago, live in Laredo, Texas and enjoy baseball, basketball and quality family time. 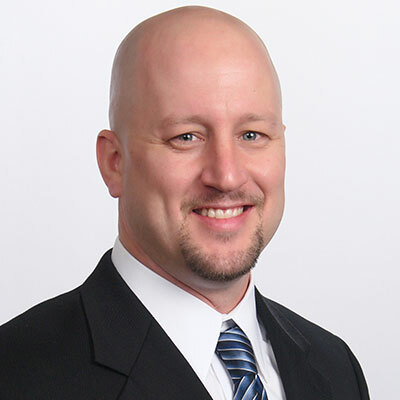 Jason Duffaut is a CERTIFIED FINANCIAL PLANNER™ practitioner. He holds the Certified Wealth Strategist® designation, the FINRA Series 7, 24 and 66 registrations through LPL Financial as well as life and health insurance licenses. Jason assists high net worth clients in areas of wealth accumulation, wealth preservation, wealth distribution and wealth transfer. He addresses these areas through a comprehensive wealth management process, all the while operating as a fiduciary and within the CFP Board Code of Ethics to uphold the principles of integrity, objectivity, competence, fairness, confidentiality, professionalism and diligence. Jason has been in the financial services industry since 1998. Jason spent more than 10 years as a financial advisor and business development executive with one Fortune 100 company and two boutique companies. He specialized in banking, investments, business succession planning, retirement planning, financial planning, and estate and charitable planning. Jason graduated from California State University, Fullerton, with a bachelor's degree in finance. He is pursuing the Chartered Financial Analyst® (CFA®) designation and is a Level II candidate. He is also a member of the Financial Planning Association®. Jason is a native of Louisiana. He enjoys spending time with his wife, Jennifer. Some of his favorite things are traveling, enjoying different types of cuisine, exercising and doing volunteer work in his community. 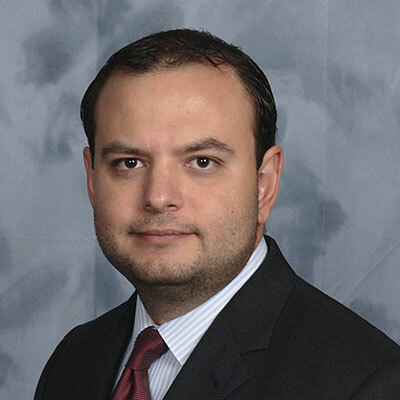 Jorge Escobedo is an LPL Financial Advisor with IBC Investment Services. With more than 12 years in the financial services industry, his experience includes working in both banking and finance. After working with all aspects of the financial industry, he realized his passion is educating people about their asset management. He strongly believes in educating clients about the rules of money while creating a customized financial plan geared toward the client's goals and objectives, which strive to grow and preserve their wealth. He focuses on building strong relationships with his clients and being able to help them in all aspects of financial planning, including retirement planning, insurance, wealth transfer and education planning. 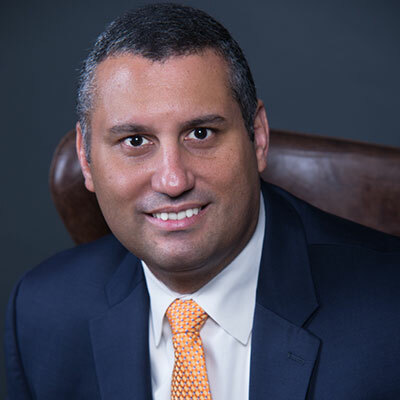 Jorge holds FINRA Series 6, 7, 63, and 65 securities licenses, held with LPL Financial, as well as the Certified Wealth Strategist® designation and earned his BBA at the University of Texas in Austin. When not in the office, Jorge enjoys spending time with his wife and two young boys, including taking them on outdoor adventures and road trips together as a family. With over twelve years of experience in the financial services industry, Julian has guided clients through numerous market cycles. He has been with IBC Investment Services since 2007. Previous to joining IBC Investment Services he spent three years at JPMorgan Chase. 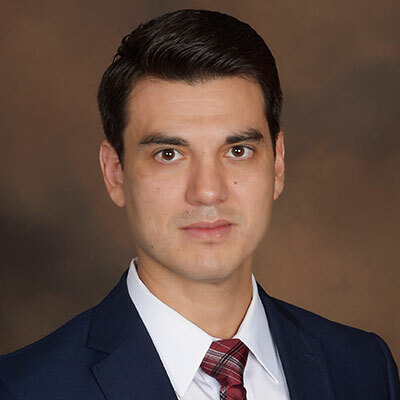 Julian earned a Bachelor in Finance from University of Texas at Brownsville, and since has earned His FINRA series 7 and 65 registrations held with LPL Financial. 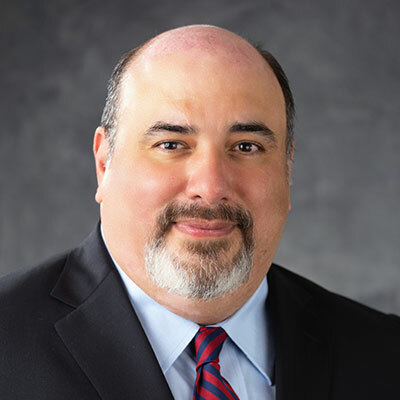 As an LPL Financial Consultant for the Laredo and Zapata area, Luis O. Gonzalez believes that the foundation of a solid financial plan is recognizing that everyone's economic and life situation is unique. Personalized service is essential when matching clients with the right financial products and services. With over 17 years of experience in the financial service industry, he had served as a Credit Analyst and Personal Banker with IBC Bank before joining LPL Financial in 2002 as a Sales Assistant. In these positions, he managed portfolios consisting of personal and business checking accounts, investments, personal and commercial loans. He believes that previous banking experience was an ideal foundation for his current position as a Financial Consultant. Earning his Life and Health Insurance License from the State of Texas in 2006 and his FINRA Series 7 and Series 63 registrations with LPL Financial in 2015, he is prepared to assist domestic as well as foreign clients work toward their financial goal. Luis is an active member of his community where he is involved with organizations such as United Way and the St. Patricks Church Youth Soccer League. Miguel Lozano, a financial consultant with IBC Investment Services, possesses a great deal of enthusiasm for helping clients work toward reaching their financial goals and strives to gain a clear understanding for each client's unique set of circumstances. He is committed to staying abreast of changes in the markets, regulations, investment managers, and financial products to provide the very best service to his high-net-worth clients. Miguel's strongest attribute is his ability to navigate complex financial issues to create a personalized wealth management strategy for his clients. With more than 14 years of experience in the financial services industry, Miguel has guided clients through numerous market cycles. He is celebrating his one year anniversary with IBC Investment Services. Previous to joining IBC Investment Services, he spent thirteen years at Chase Investment Services Corporation. 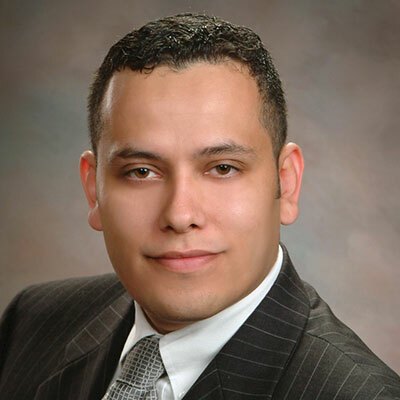 Miguel holds a Bachelor of Business Administration in Business Management from St. Edward's University in Austin, Texas and since has become an Accredited Wealth Management Advisor and earned series 7 and 66 registrations (Securities registrations currently held through LPL Financial). Miguel also maintains a Life, Accident and Health Insurance Producers License. Miguel is married and has two children. In his spare time, he enjoys outdoor activities with his family. Noemi X. Salas, Financial Consultant with IBC Investment Services since 2004. Noemi has extensive experience and expertise in the financial services industry. Prior to joining IBC Investments Services and LPL Financial, Noemi served as "Financial Consultant" with The Principal Financial Group®. In this position, she managed portfolios consisting of investments, annuities, disability and life insurance products for more than 14,000 clients. 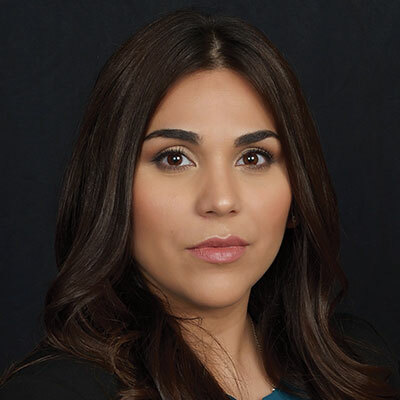 Noemi is registered and insurance licensed to manage, distribute and offer guidance concerning Wealth Management, Life, Accident & Health Insurance in Texas. She also holds FINRA Series 6, 63 & 7 registrations with LPL Financial. Noemi is an active member in the community and has served with non-profit organizations such as American Red Cross, Parent Teacher Organization, LFISD -Served Booster Chess club, "Site Based Decision Board" and is an active volunteer with IBC Bank "Money Smart" Presentations. Olimpo Salinas has more than 10 years of experience working with affluent individuals, families and their closely held entities serving as a financial consultant. His extensive background in financial planning and investing allows him to offer the type of comprehensive advice that seeks to build and preserve client assets. Prior to joining IBC Investment Services, Olimpo spent 11 years at Chase Investment Services Corporation. 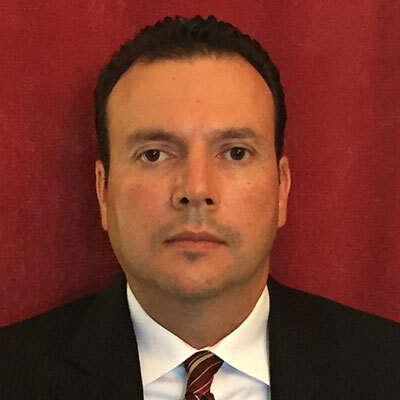 Mr. Salinas currently holds Series 7 and 65 securities registrations with LPL Financial. In addition he maintains both Life and Health Insurance with the State of Texas. He completed a Bachelor of Arts in Finance from The University of Texas Pan-American and an Associates of Science in Business Administration. Olimpo is blessed and proud to be married to Sylvia and to be the father of two amazing boys whom he loves spending time with outdoors. He and his family are active in service at their church. 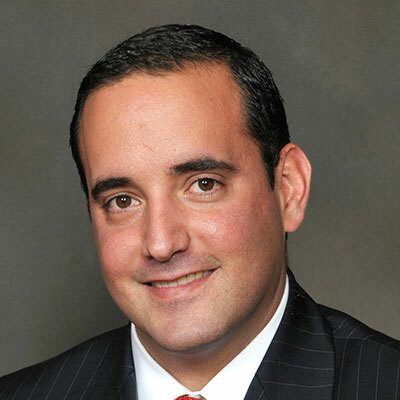 Sergio Soto is a seasoned financial consultant with IBC Investment Services. He specializes in working with high net worth and high potential clientele to create varying degrees of investment devices, depending on each individual's needs after comprehensive analysis of their existing portfolios. Sergio holds several registrations with LPL Financial, including a Series 6, 7, 63, and 65, along with Life and Health insurance license. He has helped guide his clients investment and retirement planning needs for 20 years. 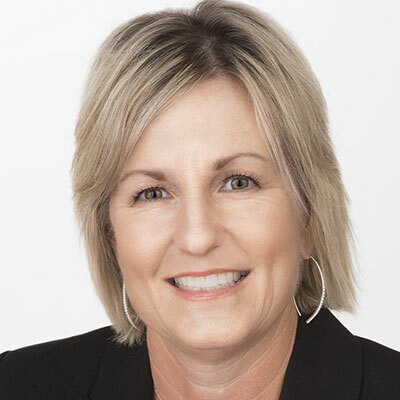 Sherrie Reynolds offers over 20 years of experience in the banking and financial services industry as a financial advisor and currently serves as a Business Consultant and Divisional Recruiting Manager. She has her Series 7, 63, 66, 24 license held with LPL Financial and is insurance licensed in the state of Texas. Her hands-on knowledge of the industry is enhanced by her experience in personal banking and lending, as well as by numerous hours of additional training and continuing education in the financial services field. As a result, Sherrie understands a wide array of investment products and services and she can incorporate the latest strategies and knowledge working with the advisors under her management. Sherrie and her husband, Charles, are both native Texans and have two sons. She is an active community leader and volunteers with several North Texas organizations, including Race for the Cure and Special Olympics. Anthony Manning, a financial advisor with LPL Financial takes a personalized investment approach to client investment needs. He takes the time to understand client's needs, goals, and risk tolerance in order to design an investment portfolio custom tailored to their needs. 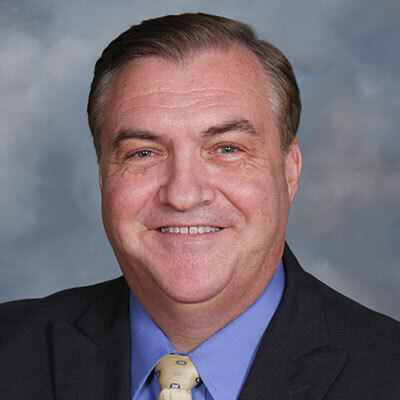 With more than twenty five years of experience in the financial services industry, Anthony is a seasoned professional who has successfully navigated numerous market cycles. Prior to joining LPL Financial, Anthony spent more than twenty years with Morgan Stanley Smith Barney and Wachovia Securities. Anthony earned a B.S. in Finance from Oklahoma State University and has since earned his Series 7 and 66 registrations held with LPL Financial. Anthony remains an active Oklahoma State University alumnus and enjoys active outdoor sports with his wife Sheila and their three sons. Bruce Gard, a financial consultant with LPL Financial, takes a personal approach to addressing his clients' needs. He takes time to fully understand the path that the client wants to take and guides them along the way. Bruce has 32 years' experience in financial services industry. He has been at IBC Bank for 18 years and is Vice President with IBC Investment Services. Bruce holds series 6 and 63 registrations held with LPL Financial and specializes in retirement income. Bruce enjoys playing golf and working with horses. Jeremy Moore, a financial consultant with IBC Investment Services, takes a no-pressure, personal approach to understanding client needs and takes time to thoughtfully develop sound long-term strategies to help his clients pursue their goals and dreams. He works closely with individuals and small business owners, offering them comprehensive financial planning and investment services. Jeremy has been in the financial services industry for 6 years. He is celebrating his 3rd year anniversary with IBC Investment Services, and last year he was recognized as the top-producing financial consultant across Oklahoma's 52 branches. Jeremy currently holds a Series 7, 66 FINRA registrations, held with LPL Financial, and a Life and Health Insurance license. He earned his Bachelor's degree from Oklahoma State University, and since is pursuing a financial services designation as a Retirement Income Certified Professional. He and his wife, Kathleen, enjoy raising their five children and being involved in all the activities that entails. Larry Ellis is a financial consultant with IBC Investment Services. He takes a personal approach to understanding client needs and works closely with individuals and businesses to develop thoughtful financial plans and tax strategies to fit their specific needs. He strives to provide them with sound, comprehensive strategies and investment services tailored specifically to help them pursue their goals and dreams. A graduate of the University of Oklahoma with a Bachelors of Arts in Business Administration, Larry also has several financial registrations, held with LPL Financial, including a series 7 and series 66 as well as his life and health insurance licenses. With over 11 years of experience in the financial services industry, Larry has the knowledge and experience to help his clients pursue their investment and retirement goals. Getting to know his clients and providing comprehensive planning and investment services specifically for them is what sets him apart. Larry and his wife Michelle enjoy traveling, volunteering with local charities, and spending time with family. As a Financial Consultant with IBC Investment Services for Lawton and surrounding areas, Susan E Dabney believes that each individual is unique and services should be personalized to focus on their individual situations, needs, and goals for themselves and their families. Susan has 27 years of experience in Bank Investment Programs and has guided clients through numerous market cycles. Susan is registered and licensed to manage, distribute and offer guidance concerning Wealth Management, Life, Accident and Health Insurance in Oklahoma. She also holds FINRA Series 63 & 7 registrations in Oklahoma, Texas and California with LPL Financial. 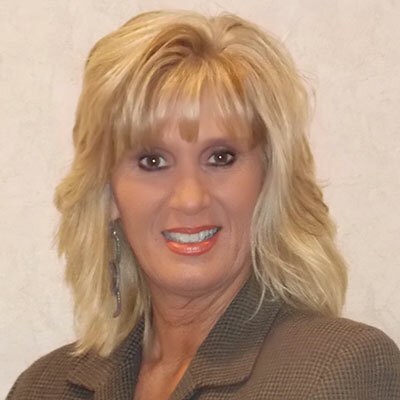 Susan has been an active member in her community and has served with non-profit organizations and boards.